Thomas Richardson is a Licensed Acupuncturist and a board certified Diplomate of Oriental Medicine, as well as a scholar and teacher of acupuncture and Oriental medicine. From 2012-2014, Thomas lived in Boston, where he completed a Master of Theological Studies at Harvard Divinity School. His research focused on connections between Buddhism, Daoism, and Chinese medicine, as well as trauma, storytelling, and healing. During this time, he continued seeing patients in private practice and was on the faculty at the New England School of Acupuncture. 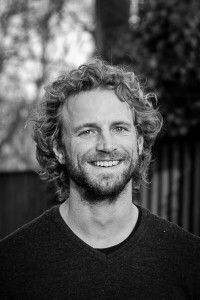 Thomas recently moved to Boulder, CO, and is currently on the faculty at Southwest Acupuncture College. Thomas studied acupuncture and pulse diagnosis intensively under Will Morris, PhD, DAOM, LAc. In addition to over 500 hours of clinical observation and internship with Dr. Morris, he has also attended and been a TA for his seminars on Neoclassical Pulse Diagnosis. Thomas is one of a select few students that Dr. Morris has given permission to teach this system of acupuncture and pulse diagnosis. Thomas completed the Medical Qigong program at the Academy of Oriental Medicine at Austin (AOMA), studying under Dr. Yuxia Qiu and Junfeng Li. He is a nationally certified practitioner of Medical Qigong and often integrates bodywork and meditative practices with his acupuncture treatments. Thomas also apprenticed under Trina Sims, ABC, AHG, founder of Green Star Herbs and a phenomenal herbalist based in Austin, TX. Trina has been a continuing inspiration in the realm of herbology, and under her guidance Thomas has gained much insight into the deeper nature and power of herbal medicine. Thomas has studied many different traditions of acupuncture, herbal medicine, and healing, including 5 element, Dr. Tan Balance method, Tung style acupuncture, Traditional Chinese Medicine, Western herbalism, Ayurveda and others. His primary studies are in Neoclassical Pulse Diagnosis, but he utilizes different styles in every treatment depending on the patient, their condition, how needle sensitive they are, and other factors. Currently, aside from clinical practice and teaching, Thomas has a forthcoming book –Extraordinary Chinese Medicine: The Extraordinary Vessels, Extraordinary Organs, and the Art of Being Human-intended for other practitioners of acupuncture and Oriental medicine. It will be published by Singing Dragon Publications and is expected to be released in October 2018. Throughout this process he has published numerous acupuncture articles in various journals of Oriental Medicine, both nationally and internationally.